I've been asked about the site feed for this blog. If you use a newsreader and want regular updates on when this blog is changed then you should use Atom which is supported by this blog and not RSS (Really Simple Syndication). Google (which owns Blogger) regards Atom as superior and therefore only supports Atom. If you don't understand this don't worry. However, if you use a newsreader you can put the URL http://evangelicaltextualcriticism.blogspot.com/atom.xml into your reader for regular updates. News on the Coptic find? Does anyone know any more news relating to the Coptic manuscript find reported here? I'm pleased to be able to say that we now have the URL whereby one can order Tommy Wasserman's investigation of the Epistle of Jude. Please forward the URL to your librarian. The study treats the textual tradition of the Epistle of Jude. 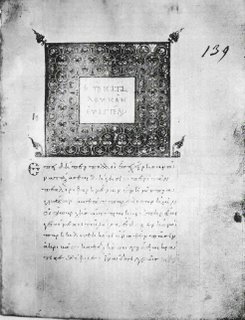 The nucleus of the study is an exhaustive critical apparatus presenting the evidence of 560 Greek MSS, including dozens of lectionaries. The major part of these textual witnesses have not received the attention they deserve. Now, for the first time, all these MSS have been collated in a complete book of the NT. The complete collation has brought many new readings to light, some of which were only known through ancient versions, and previously known and important readings have gained additional support. Appended to the apparatus is an errata list to the ECM of Jude, and another list of differences between the two editions that accounts for the cases where the interpretation of the manuscript evidence differs between the editions. These lists, along with the table of contents, can be downloaded from here. An accompanying textual commentary explains the rationale behind the various text-critical decisions in over 100 passages. An innovation is the employment of a new rating system of a more descriptive nature than counterparts. In a treatment of the literary and text-critical relationship between 2 Peter and Jude, it is argued that the Epistle of Jude has literary priority. Further, the textual traditions of the two writings show that scribal harmonization between the parallel accounts occurs relatively infrequently. Two significant witnesses, P72 and Codex Vaticanus (B 03), lack such harmonization altogether. The history of the text is also the history of readers and their world, as disclosed through the palaeographic and textual evidence. Every manuscript has a unique story to tell, about the ancient copyists, owners and users. 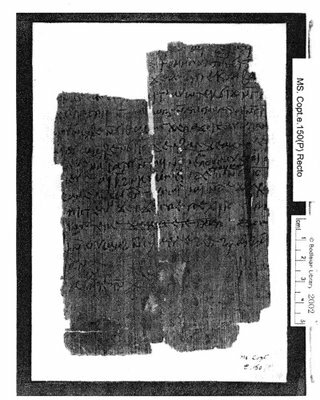 In particular, the two earliest papyrus witnesses to Jude, P72 and P78 (ca. 300 C.E. ), are studied in detail. For the first time, plates of these early papyri and the recently registered uncial 0316 are published with complete transcriptions. In addition, plates of two significant minuscules are published with short descriptions. It has been reported on the hugoye-list that the distinguished textual critic William L. Petersen, Director, Religious Studies Program and Professor of Religious Studies and Classic and Ancient Mediterranean Studies at Penn State University died yesterday evening (20 December 2006). Bill's webpage is currently here and from there one can access his wide ranging CV. Bill's most famous work was almost certainly his authoritative work on the Diatessaron: Tatian’s Diatessaron: Its Creation, Dissemination, Significance, and History in Scholarship(Supplements to Vigiliae Christianae 25; Leiden: Brill, 1994). Bill was very kind to me and spent over two days working intensely through my book on the translation technique of the Syriac Gospels, even though he had not met me at that stage. He sent me copious learned corrections. It was therefore a great privilege to meet him when I became involved in the IGNTP. New Warden of Tyndale House Announced: ETC Blogmeister Appointed! Congratulations to Pete Williams on his new appointment. I am delighted to announce that the Trust Board of the UCCF has formally approved the Tyndale House Council's nomination that Dr Peter Williams be appointed as the new Warden of Tyndale House and Director of Research, UCCF, in succession to Bruce Winter. Peter is known to many as a former Research Fellow at Tyndale House. Currently he is a Senior Lecturer at the University of Aberdeen, and will be taking up his post during June 2007. Peter has published research on both Old and New Testaments, and has a particular interest in the Syriac translations of Hebrew and Greek biblical texts. 1. Best contribution to biblical textual criticism. 2. Best discussion of an individual manuscript. 3. Worst treatment of textual criticism in a biblical commentary. 4. Best evangelical contribution to biblical textual criticism. 5. Most arcane detail published in any text critical discussion. 6. Funniest item connected to textual criticism of the Bible. 7. Evangelical Textual Criticism Hall of Fame / Life-time achievement Award. Nominations can be submitted (over the next 2 weeks) as comments or by email. The 2005 awards are listed here (with earlier posts: here, here, and here). Recently, Martin Heide's book Der einzig wahre Bibeltext? 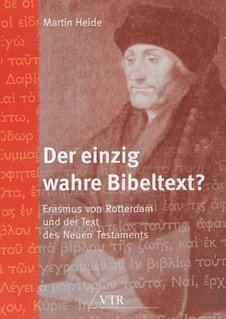 Erasmus von Rotterdam und die Frage nach dem Urtext (The Only True Bible? Erasmus of Rotterdam and the Question for the Original Text) reached its fifth edition. It seems that ever since The Da Vinci Code appeared books dealing with the textual criticism of the New Testament are in popular demand. 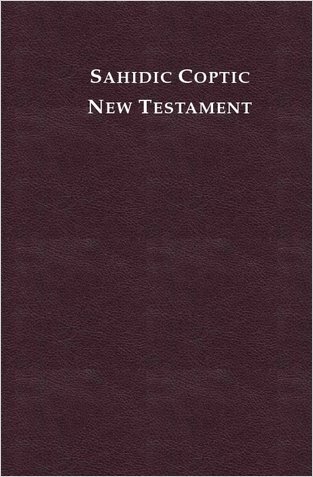 In contrast to popular claims that the text of the New Testament has been changed during its transmission to us, Heide's detailed investigation of the history of study of the New Testament text points to the overall reliability of the text. In the first chapter "Erasmus und die Reformation" ("Erasmus and the Reformation"), Heide points to the position Erasmus held at the beginning of the German Reformation. Although Erasmus’ Greek text was used in Luther’s German translation, and some of Erasmus’ writings such as his Handbook for the Christian Soldier were essential for the German Reformation to gain ground, it is clear from his doctrinal convictions and from his relationships to the scientific and religious world, that he cannot be regarded and did not regard himself as a supporter of the Reformation cause. Rather, he remained on the Catholic side until his death in 1536. The second chapter "Erasmus und die Heilige Schrift" ("Erasmus and Holy Scripture") deals with Erasmus’ view of the inspiration and authority of scripture. Erasmus had a high view of the Holy Scriptures, but allowed nevertheless some space for their authors’ shortcomings (which he illustrated by Old Testament quotations in the New Testament). He hesitated viewing all scripture alike as authoritative. As Luther, he disliked the Apocalypse and suspected that the epistle of James had not been written by James the apostle. Erasmus emphasized that a good deal of the Old Testament is not really helpful and recommended to read the historical books of Livy in place of such unedifying stories as David’s commission of adultery and murder. 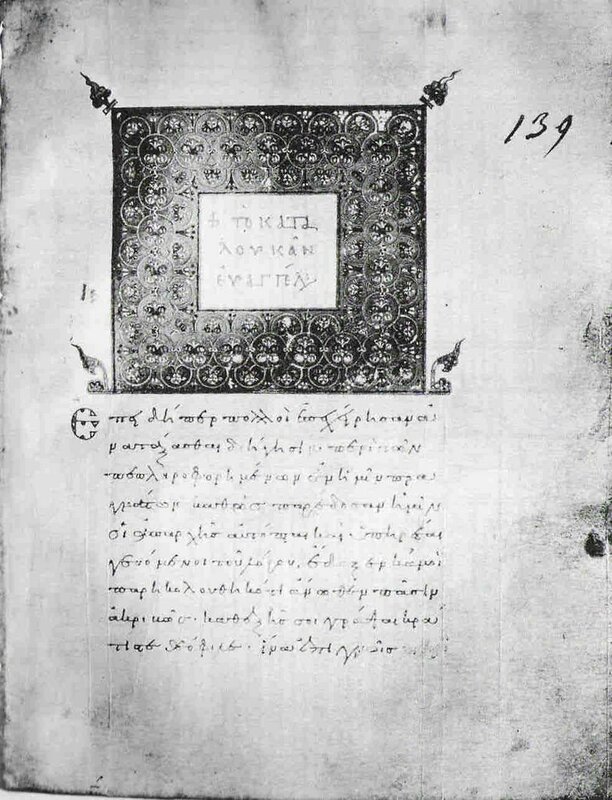 The third chapter "Der erste gedruckte Text des griechischen NT" ("The first printed text of the Greek New Testament") takes the reader into the year 1515/16, when Erasmus prepared to print a revised Latin Bible, and finally decided to print the Greek text in addition to the Latin. This chapter, richly adorned by footnotes, gives much useful information on the highlights and flaws of Erasmus' endeavour and on the manuscripts Erasmus had available for printing. The reader is led through time until 1707, when John Mill’s Greek New Testament appeared and the first attempts were made to collate as many manuscripts for the New Testament as possible. The fourth chapter "Der kritische Text" ("The critical text") presents a bird’s eye view on the history of New Testament textual criticism, from Bengel to Westcott and Hort and Nestle-Aland. The claim of Westcott and Hort to have the "Original Greek" was weakened by the discovery of the early Papyri: they pointed to the fact that some of the Byzantine readings thought by Westcott and Hort to be later inventions were already known before the fourth century. Heide gives some examples of these "living fossils". Finally he summarizes the presuppositions and methods used in New Testament textual criticism today, from "Thoroughgoing Eclecticism" to the "Received Text"-only-movement (the latter is in fact not a method, but an attempt to preserve an old edition of the Greek New Testament which was common in the 16th-19th centuries). Heide favours the method of "Reasoned Eclecticism" held by most textual critics today. 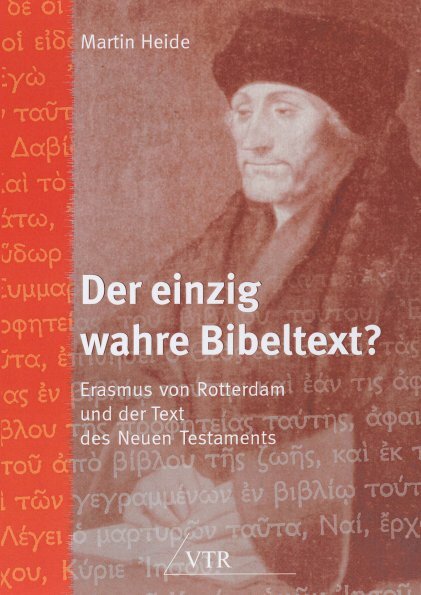 Chapter 5 "Vom textus receptus und vom Mehrheitstext" ("The Received Text and the Majority Text") gives, as an introduction, in 5.I some insights into the text-critical methods of Erasmus. Though Erasmus was bound to a certain measure by his and the Catholic church’s high regard for the Latin Vulgate, he nevertheless knew and promoted principles of textual criticism known still today, such as the preference for the lectio difficilior. Chapter 5.II (Gospels to the Epistle of John) and 5.III (Apocalypse) present the most important singular readings of the Received Text. Chapter 5.II gives also a very detailed analysis of the so-called Comma Johanneum, and chapter 5.III deals with the large number of flaws found in Erasmus’ text of the Apocalypse. In chapter 5.III Heide demonstrates in detail that the claims made by some (such as Hoskier), that Erasmus had another manuscript of the Apocalypse besides his mutilated Codex Reuchlini in Basel available, are baseless. In chapter 6 "Vom Mehrheitstext und vom kritischen Text" ("The Majority Text and the Critical Text") Heide tries to present the history of the New Testament text. Chapter 6.I starts by clarifying some common expressions ("Urtext, Kritischer Text, …"). The earliest manuscripts of the New Testament are in focus in chapter 6.II, their special character, their scribes, their transmissional errors, their textual affinity to later manuscripts, etc. Chapter 6.III is about the Codex Vaticanus and dwells especially on the newly-found "Umlauts". Chapter 6.IV discusses the "Lucianic recension", dismisses it and opts for a gradually "improved" text of the New Testament (6.V), which grew in phases of different size (the largest step should be expected during the Constantine era) from the early papyri to the later Byzantine text. Heide argues especially from the so-called mixed textforms of the 5th and 6th centuries which are found in the texts of the manuscripts, of the early translations and of the church fathers. Chapter 6.VI draws additional parallels between the papyri and later Byzantine manuscripts, arguing especially from the Septuagint. 6.VII deals with the question of wilful alterations of the New Testament text. Chapter 6.VIII gives insights into the habits of New Testament scribes, focussing on the nomina sacra. Chapter 6.IX goes into the question of "orthodox corruptions" and discusses some well-known orthodox corruptions (Mt 27:34; Lk 2:27-48; 23:45) and a lesser known one (John 1:42). 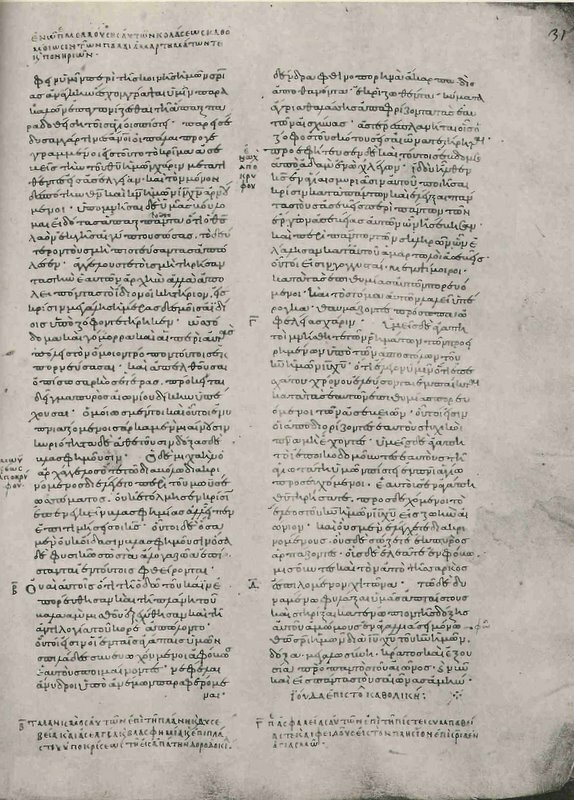 Chapter 6.X discusses more readings, always majoring on the differences between the early or Alexandrinian text and the Byzantine text. Especially helpful are detailed discussions of well-known readings such as Mt 1:7, 10; Mk 1:2; Joh 1:18; and 1 Tim 3:16. At various points, Heide draws parallels between the methods and insights of Erasmus and those of the later critics. In chapter 7, Heide discusses the various methods of translations employed today and favours a translation which is "as literal as possible and as free as necessary". The book is rounded up by several excursuses, especially on Erasmus’ text of the Apocalypse, an extensive bibliography and an index to scriptural quotations. I've now added a Dissertation Section on the .com partner site to this blog. This brings together material on or about dissertations by Tomas Bokedal (Lund), James Palmer (Cambridge), Ivo Tamm (Münster), and Tommy Wasserman (Lund). The section on Tommy Wasserman contains the errata list which he has passed on to me. As previously indicated the editors of the .com site welcome the submission of appropriate academic material to be considered for publication on the site. The Disputation in Lund: speaking is Prof. Walter Überlacker, in the middle, the opponent, Dr. P.M. Head, at the right, T. Wasserman. P.M. Head counter-collated 10 of the most important manuscripts Wasserman had collated, and found 485 positive checks, but no errors. There are some 10 places where the reading was not clear (and where most textual critics would differ in their estimation), but the opponent found no obvious errors in Wasserman's collation. In his thesis, however, Wasserman virtually gave no insights in his working philosophy. How did he transliterate? What computer-system was involved? Wasserman replied: "I sat down at the Microfilm reader most of the time and collated every single manuscript with a sheet of the base text." 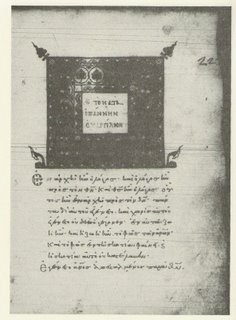 Since most of the manuscripts of Jude are Byzantine, Wasserman collated against the Byzantine Text (ed. by M.A. Robinson) and noted the differences, one sheet for each manuscript. Then he used the software "Collate" to feed his computer with the data acquired by the procedure described above. He modeled the general layout of his textual apparatus after the layout of the ECM (Editio Critica Maior). His text deviates at four places from the ECM (vv. 5. 13. 15. 18). Later in the evening, the party united the "freshly baked" Doctor of Philosophy with his examiners and his opponent. Tasty dishes were served with unleaded beer, accompanied by toasts managed by the toastmaster. A retired Professor of Theology who sat next to me observed that theologians normally do not engage very much in (text)-critical work if they take their faith seriously. "But", he added, "Tommy is different". I have just got back from Lund, Sweden (which, being dull, grey, wet and drizzly was much like Cambridge) and can report that Tommy Wasserman withstood the opposition of his faculty opponent (one P.M. Head) and satisfied the three examiners enough to be awarded his doctorate (see here and previously mentioned on the blog). It was good to meet Tommy at last and to scare him a bit with my robust questioning of his thesis. It was nice to meet up with Martin Heide, as well as other NT colleagues from Lund and elsewhere, including Walter Uberlacker (Tommy's supervisor), Maurice Robinson (one of the examiners), Bengt Holmberg (who gave me a lift in his car), Ulrich Schmid (who revealed that his middle name was Bernhard - I think I remember it correctly), Samuel Byrskog (who I was happy to meet up with following corrrespondence about his book which I reviewed), Chrys Caragounis (who was not so happy about a review of his big book on Greek), and several others, not to mention Tommy's wife, three children, mother, brothers, friends and colleagues who featured at the party which followed the doctoral examination/defence. However, there was no dancing on the tables, which I had been assured would feature at some point in the evening. Perhaps it was the light beer. In a recent article in Biblica entitled 'A note on the two endings of John' Michael Martin argues that the Fourth Gospel contains two epilogues (20:30-31 and 21:25) and concludes that therefore the second was added later. I am not sure that the link between premiss and conclusion is so tight. Even if we grant that John has two epilogues it does not follow that one was added later since he has not explored possible subversion of literary convention within the Gospel. It is rather peculiar that the Harclean Syriac is quoted as supporting the spelling Μαριαμ in NA27 to Luke 2:19. The Harclean uses the Syriac form Mariam regardless of the Greek spelling. To do otherwise might lead to blasphemy in Syriac. Apparently there is an urgent need for translators to render the Bible into Anglo-Saxon (Old English). See here. The 5th edition of Martin Heide's Der einzig wahre Bibeltext? Erasmus von Rotterdam und die Frage nach dem Urtext (VTR: Hamburg, 2006) has appeared. Martin is probably the most linguistically competent of our bloggers. In this book he treats the origin of the textus receptus and writes extensively on a whole range of textual issues. 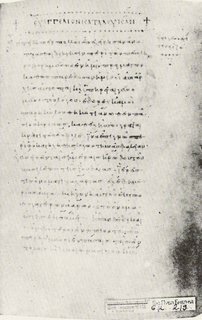 Here is a rather poor image, scanned from Schenke, of the Coptic ms of John 20 that has been thought by some to give ms support to the idea that John 21 was not originally part of the Gospel. I assume that the scanning of a single image is within copyright law. The ms ends midway down a page with John 20:31. I have represented the end of the text thus, using typos, incomplete words, etc. to represent the Coptic. As you can see the end of the text is a real mess. Could it just be that the scribe gave up? I'll try to put the Coptic text up, once I work out how to do it! In the mean time I have put the Coptic text in a file here. Gesa Schenke, 'Das Erscheinen Jesu vor den Jüngern und der ungläubige Thomas: Johannes 20,19-31' in Louis Painchaud and Paul-Hubert Poirier, eds, Coptica - Gnostica - Manichaica: Mélanges offerts à Wolf-Peter Funk (Les presses de l'Université Laval / Peeters, 2006) pp. 893-904. Over at Biblica, there is an article by Mark Gignilliat entitled "Working Together with Whom? Text-Critical, Contextual, and Theological Analysis of sunergei in Romans 8,28". The text-critical issue that he deals with is whether or not one should prefer some mss that make theos the subject of the verb sunergei (supported by P45 A 81 sa [Coptic] Origen) or those that omit theos and make panta the subject (Aleph C D F G etc). There are theological implications to the text-critical choice made here. Gignilliat writes: "In other words, this text is a classic example of where text-critical arguments and internal evidence may be at loggerheads." His own approach to prefer theos for textual, contextual, and theological reasons. I would like some information and feedback on questions related to both text and language, mainly for the purposes of bridge material and explanations for beginning students in the language. WestcottHort Mt 27:46 ΣΑΒΑΧΘΑΝΕΙ SABAXQANEI? 2. Would the approach or readings change if one decided that Matthew wrote ΣΑΒΑΧΘΑΝΕΙ SABAXQANEI? 3. Also related, does anyone have knowledge as to how and why UBS/NA have abandoned ΣΑΒΑΧΘΑΝΕΙ SABAXQANEI in favor of ΣΑΒΑΧΘΑΝΙ SABAXQANI? 4. Are people on this list happy with what NA/UBS have done? 3a-4a. An aside: the change of WH Mt 27:46 ΕΛΩΙ ΕΛΩΙ ELWI to ΗΛΙ ΗΛΙ HLI can be explained on normal text-critical grounds (though the spelling ΗΛΕΙ ΗΛΕΙ HLEI should actually get the nod). But returning to the above UBS question, "how was SABAXQANI justified? ": the same questions can be raised for WestcottHort HLEIAN in Mt 27:47 or PEILATOS Mt 27:2, 13, 17, kai ta loipa in many a text. 5. Scheduling and commitments prevented me from attending Pete Williams' promising contribution on spelling for NT criticism. Such are the constraints of an SBL. That session would have discussed the other side of this question, the text-critical side. I’m not sure how long it’s been around, but I’ve just noticed that Codex Fuldensis, the sixth century Gospel Harmony, thought to bear a close relation to Tatian’s Diatessaron, is now online here. Just across my desk is: Tommy Wasserman, The Epistle of Jude: Its Text and Transmission (Coniectanea Biblica: New Testament Series 43; Almqvist & Wiksell International, 2006). As is customary in Sweden the thesis is published prior to the doctoral defence about which I'm sure we will hear shortly. This appears to be the most definitive study of the text of Jude ever undertaken. There are still some technical matters to be sorted out before the book will be available for order over the internet. We will post details when they appear. P75 the remarkable C2/C3 manuscript of Luke and John was apparently sold to the Vatican a few weeks ago amid great protest by international representatives of the academic community. This is a great loss for Cologny and a great gain for the Vatican. 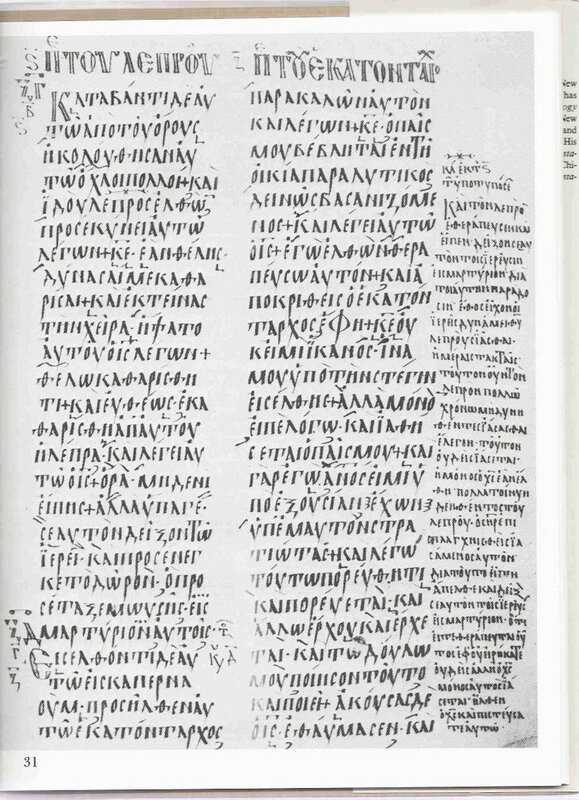 The view of NA27 that the Sahidic supports επανηλθεν in Matthew 2:21 appears mistaken since the Sahidic appears to use the same rendering for απηλθεν in Matthew 9:7; Mark 6:46; 7:24; Luke 1:23; for ανεβη in Luke 9:28; Acts 2:34; 10:9; Ephesians 4:9 (cf. 4:10); for ανηλθεν in John 6:3; and for πορευθεις in 1 Peter 3:22. The last text is particularly interesting since it uses an unmarked verb of motion (one which does not state 'up' or 'down', etc.). In the nearest parallel to the context, namely Matthew 2:14, the same Sahidic phrase appears to render ανεχωρησεν. 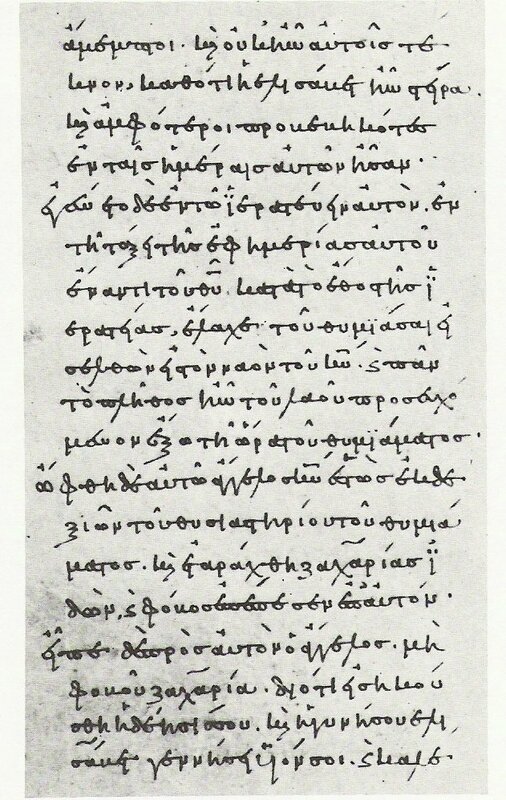 Conclusion: the Sahidic phrase in question could probably represent ηλθεν or εισηλθεν. Sahidica—the free online Sahidic New Testament used to be here. Has it disappeared? Does anyone know of its whereabouts? One rather interesting paper at SBL was by Jeffrey Kloha of Concordia Seminary, St. Louis. I can't remember whether Kloha has recently finished his PhD with Keith Elliott (Leeds), or whether he is nearing the end of it. Anyway, he presented an intriguing study entitled 'The Displacement of 1 Corinthians 14:34-35 in D F G and the Latin Tradition'. The background to the discussion is, of course, the view, strongly articulated inter alios by Gordon Fee (The First Epistle to the Corinthians, 699-708) that these verses are inauthentic. Though they appear in all known Greek or versional manuscripts, the Greek-Latin bilingual manuscripts (D F G) and a number of Latin manuscripts place them after v. 40. They are rejected by Fee on 'transcriptional' and 'intrinsic' probability. One of the points in Fee's argument was that it is unlikely that the verses were 'displaced' from after v. 33 to after v. 40 since 'displacements of this kind do not occur elsewhere in the NT' (First Epistle, p. 700). Kloha claims to have been able to identify a series of displacements of exactly this sort in basically the same witnesses that have the verses after 1 Cor. 14:40. The possibility of a series of related transpositions is indeed intriguing and we will await eagerly the publication of Kloha's work. Two areas where clarification is needed are: 1) The overall explanation of how these are related. This is a point on which Larry Hurtado pressed Kloha; 2) The degree to which there are other transpositions that do not fit the pattern or explanation that Kloha has advanced. I conducted a head count at one textual criticism session at SBL: 61 men; 4 women. Would anyone care to interpret these data? A new monograph series, which rejoices under the title Studia Antiqua Australiensia, has recently been launched by the publisher Brepols. The first book in the series is Malcolm Choat, Belief and Cult in Fourth Century Papyri. One of the papers presented at SBL was by Robert J. Littman, University of Hawaii: 'Sinai 1 and Sinai 2: Their Place in Biblical Manuscript Tradition'. 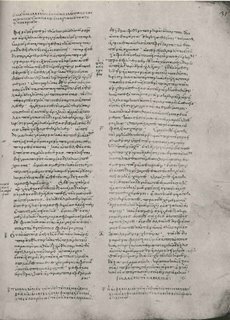 Littman adopted a 15th century date for Sinai 1 and a 12th century date for Sinai 2 and claimed on the basis of readings shared between these manuscripts and the famous Codex Sinaiticus that these were both copied from Sinaiticus. Now this conclusion, if true, would obviously be rather important since parts of the OT of Sinaiticus are missing and these manuscripts cover OT portions no longer extant in Sinaiticus. If they were indeed copied from Sinaiticus then they would instantly become rather important, despite their late date. At present the sample of readings does not appear to be conclusive evidence. One of the reasons for this is that so little work has been done with LXX manuscripts that we are not in any sort of position to declare any reading a 'unique agreement' with Sinaiticus. In addition to further work on the readings of these manuscripts it would also be interesting to have further opinion as to their date. It's now SBL in Washington. The conference begins in earnest tomorrow morning, but already there has been much of interest to textual critics. The display of manuscripts in the Freer Gallery is phenomenal. Quite the richest display I've seen together in one place. I'm sure that there will be much discussion of it after the conference. The 5 hour session on the Freer Biblical Manuscripts happened today. Larry Hurtado spoke about the significance of the collection. Kent Clarke spoke about the biography of Charles Lang Freer and produced evidence that some of the manuscripts may have come from Dimai (Soknopaei Nesou) in the Fayoum. David Trobisch explained how to read a page of the Freer Gospels and spoke about various details on the page. Timothy Brown gave a live demonstration of how he cuts high quality images of the facing page of a manuscript, flips them horizontally, makes them see-through and then superimposes them on the page they face and thereby tests hypotheses of transfer of ink across facing pages (he did various other things too). Thomas Wayment spoke about multispectral imaging. Just as an aside he mentioned the loss to water of 32 boxes of ca. 1000 manuscript fragments each of the Oxyrhynchus Collection in the Ashmolean in Oxford (!). Malcolm Choat spoke about the Minor Prophets scroll in the Freer Collection and specifically about the text that follows it. Leonard Greenspoon was not able to give his paper about the Freer Joshua. Jean-Francois Racine compared the textual smoothness of W with B, comparing the changing tastes of textual critics to the changing fashions of taste in wine. James Royse talked about the various types of corrections in the Freer Gospels and Ulrich Schmid rounded off the day with a provocative paper addressing the question of the date of the Freer Gospels. The IV/V century date seems to have no secure basis and a later date (e.g. VI century or later) is entirely possible. The papers were all so good that 5 hours non-stop still kept the interest of someone with jet-lag. That's a good sign. Keynote Speaker: Mark Dimunation, Chief of the Rare Book and Special Collections Division, Library of Congress. Thursday, February 22, 7:00pm. This symposium will coincide with the University of South Florida Tampa Library's 4th Sacred Leaves exhibition: Beyond the Quill... Books Printed Between 1450-1500. This exhibit will feature twenty individual leaves and four full books printed before 1500. These incunabula offer physical evidence of the transition between script and print, an evolution not unlike the twenty-first century shift from print to electronic media. This exhibit explores the dependence of early printed books on their manuscript predecessors by addressing the overlap in production and presentation that took place during this transitional and experimental period. Please email abstracts of no more than 250 words to Curator of Medieval Manuscripts Collections and Symposium Coordinator, Lesley T. Stone lstone@lib.usf.edu (813) 974-4774. Notification of acceptances will be emailed by January 15, 2007. Please include the title of your paper, name, affiliation, and email address. Each paper selected will be allotted 15 minutes for presentation. Papers will be presented in small group sessions and audience response will be encouraged. Sacred Leaves: The Book Between Manuscript & Print is organized by the Special Collections Department of the Tampa Library, University of South Florida, Tampa, Florida. Pete is right to suggest that some of us are busy finishing off papers for SBL. * Mark Goodacre has some interesting and humorous advice about using technology in places like the SBL. * "finishing off" in this context is generally a polite way to describe anything from doing the fundamental research up to photocopying the handouts. For anyone who has not used them I would highly recommend the NT Transcripts available through the Institut für Neutestamentliche Textforschung in Münster. They appear very reliable—in a league well above Swanson in this regard. 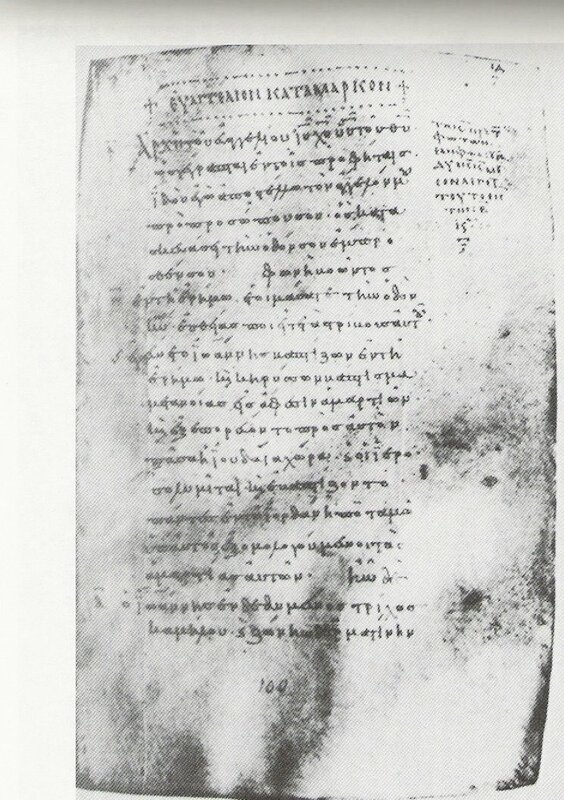 However, their transcription of Sinaiticus in John 1:35 reads ιστηκει where it should offer ιστηκι. I would be interested if anyone has any other errata for this excellent resource, which is, I believe, constantly under review. After I worked for several years on Arabic manuscripts - not of the New Testament, but of Arabic horsemanship (Edition and Translation of ibn ahi Hizam al-Khuttali’s works) - I thought it might be helpful to draw some parallels to NT Textual Criticism. I employed about ten mss of the middle ages, two later recensions, and two (not very careful prepared) printed editions. 1. The quality of the transmission differs widely from ms to ms. Some have only half of the stuff, some have a hiatus of a large number of paragraphs, some totally mixed up the paragraph-order (there are 170 paragraphs - aetiologies and treatments, each of them subdivided, sometimes up to 15 times). 2. There are manuscript families. Families have a certain amount of common readings and of common misreadings, but that does not mean that they always behave like a family: Sometimes you find in a ms which belongs definitely to a certain family - let’s say family I - a reading from family II. That suggests that a lot of these variants may either a) be influenced by a text-critical endeavour of the scribe, or b) have come in by chance - the same situation (e.g. a seemingly missing subject / object / personal pronoun / preposition) brought about the same changes. 3. The best mss are not reliable in every reading. Better trained scribes seem to be more prone to homoioteleuta than their less trained colleagues. Even the worst ms helps sometimes to restore a difficult reading. 4. When each paragraph is considered separately, changes are on a moderate scale. Usually, you have what you always had in textual criticism: substitution of pronouns for nouns or proper nouns, changes of the 2nd person to 3rd person and vice versa, addition of clarifying attributes or short sentences, homoioteleuta/arcta, dittographies, abridgements of long lists, smoothing out of grammar and meaning, etc. 5. Nonsense readings emerge when a scribe did not understand what he had before him (there are often pharmacological expressions of Greek, Latin or Persian origin in these texts), and the scribe created either (in an effort to keep the original) the best he could make out of the reading, or (when he did not much care) a new reading adapted to the meaning of the context, but totally different from what was in the original. On rare occasions only are these corruptions irreparable. 6. A large part of the variants that came into being look similar to the original, but mean something quite different, even if they seldom damage the context. This is especially true of Arabic, where only small diacritical dots differentiate between letters. 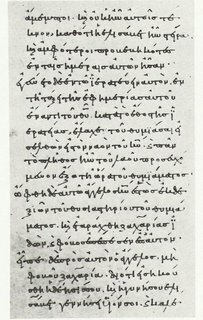 To speak in terms of NT textual criticism: If you have the famous reading 1Tim 3:16, every one muses on the possibility that ΟΣ was changed to ΘΣ by only (accidentally) dropping the horizontal nomen-sacrum-stroke, and perhaps adding the middle bar in the ΟΣ. Others say that the change in the one or the other direction was made by intention. Coming from my own experience with these Arabic mss, I would now pose a different or third solution: Scribes of antiquity obviously introduced changes into the text when a) the context and the outward appearance of the letters etc. granted permission and/or suggested/triggered a change of the text, b) the text - in their estimation - needed an improvement to keep its meaning from becoming misused. When these two conditions meet each other, you are on the best hunting ground for variants. We have the same in Mt 1:7-8; 1:10; John 1:18; 1 Thess 2:7; we have it in the numerous changes brought about through itacism; etc. That does not mean that there are not also a lot of accidents (misreadings, examples of carelessness etc.). This is not orthodox corruption - it is something different: The concept of orthodox corruption does not consider the outward appearance of the text, it focusses on the meaning, and suggests a corruption of the meaning. What I think is worth investigating are those variants where the similarity of the letters / of the word(s) “allowed” to a certain extent to bring in a similarity of the meaning. These variants did not change or even damage the meaning of the text; usually, they only underlined it; they “improved” the meaning. 7. In general, the text of the mss, even of mutilated mss (a lot of pages missing / mixed up) has not lost its original meaning. Even those scribes who were careless did not dare to change the text ad libitum. The original meaning was either transmitted, or, if lost via transmission, can be restored via textual criticism. 8. There is one modern Arabic edition which used only one manuscript. That edition has, of course, certain shortcomings, and a lot of questionable readings (and this reminds us of Richard Bentley’s truism: If there had been but one manuscript of the Greek Testament, at the restoration of learning about two centuries ago; then we had had no various readings at all. And would the text be in a better condition then, than now we have 30 000? So far from that; that in the best single copy extant we should have had hundreds of faults, and some omissions irreparable. Besides that the suspicions of fraud and foul play would have been increas’d immensely). With five mss, I reached already a point were it was clear that new mss would not change the text very much. Ibn Khuttali’s text must have been transmitted in hundreds of mss, and goes back to a Greek tradition, which was later compiled into the Corpus hippiatricorum graecorum. There is even an Arabic translation made from an Armenian Vorlage. With more mss at hand, and some compilations which were made by different authors, the text now as a solid basis - but can, of course, be slightly improved with every new ms which may be unearthed. “Not only do variants not damage the study of Holy Writ, they are rather useful, according to Augustine.” (Erasmus of Rotterdam, Letter EE 860: 61-64). 'Why has it gone all quiet on the blog?' you ask. The answer is obviously that eight of the bloggers are busy preparing material for the Society of Biblical Literature Congress in Washington DC starting next weekend. There will doubtless be much to report after the Congress. There are, however, a few things worth advertising beforehand. As mentioned earlier on this blog there will be a special feature on the Freer Biblical Manuscripts for their centenary (see what Larry Hurtado has to say here). Don't miss the papers on 17 November. We've mentioned the book here. 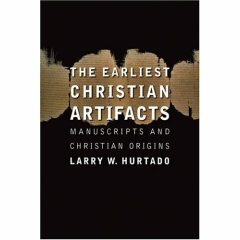 On 19 November 1-3.30 p.m. there will be a special panel discussion of Larry's new book The Earliest Christian Artifacts: Manuscripts and Christian Origins. On 20 November 1-3.30 p.m. the normally arcane and mysterious area of Masoretic studies is going to be popularised as the International Organization for Masoretic Studies has a series of 'user-friendly' introductions to this area. There are, of course, masses of other papers of text-critical interest, but that will have to be all for now. James Aitken informs me that the latest Bulletin of the International Organization for Septuagint and Cognate Studies (i.e. 2005) has been issued in recent months. See here. This is the third in our series of minuscule manuscript seminar posts. The first seminar featured minuscule 461 (from AD 835); the second featured 1582 (from AD 948). But what can we make of this offering? A blog on the Coptic Bible has been started by someone who sees themselves as a student of the subject. To judge by the links and the interest in the Coptic indefinite article in John 1:1 (which is necessary) there appear to be some JW sympathies. The Frankfurt Bible Society is putting on a display relating to biblical mss entitled 'Alles echt' [all true]. Jim West's announcement here. How many scanned photographs from a single book can you post on a blog without violating copyright? Does anybody have any idea of the law on this? In minuscule-manuscript-seminar-2 I posted three photos scanned from one book and one scan from each of two other books. That seems reasonable use for teaching and research from my point of view, but are there are standards? We are pretty well placed to estimate the number of Greek NT manuscripts that there are. The Kurzgefasste (Kurt-gefasste!) Liste and supplements give accurate information. Of course we don't know what to expect from ongoing Oxyrhynchus publications, and Dan Wallace estimates there are about 200 more to find in libraries. Perhaps the number may in a few decades hit 6,000. As far as I know there is no official list of LXX manuscripts, though I understand that a chap in Sydney was preparing one (anyone know any more?). How many mss are there? What guestimates would people make for the following? Can sociology solve Luke 22:19b-20? I believe that James Aitken is the person to be thanked for efforts to make these articles available. 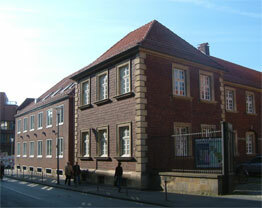 The supreme institution for the study of the NT text, the Institut für neutestamentliche Textforschung (INTF) has recently moved within Münster. They used to be at Georgskommende 7 (smaller picture) but now are in Pferdegasse 1 (large picture), nearer good places for coffee and with somewhat more room. Although arguably the previous building was more photogenic for a webpage, the latter should provide (even) better resources for visiting scholars. See here. Jim West points this out on Wieland Willker's list. Further Up-date: Here is a photo of S (028 = AD 949), which (as has been noted in the comments) was written within four months of 1582 (above). Spot the difference! I was much obliged for the Catalogue, and am now very glad to hear the sale was so successful. It was certainly a most remarkable library. I only hope the books will for the most part fall into hands a quarter as able and willing to use them as those of their late master. I like this expression of Hort's appreciation for Tregelles and I take this to refer to a Catalogue used for the sale (or auction) of the library of S.P. Tregelles in 1876 (he died in April 1875). But I have not been able to find a copy of this catalogue. [There is Tregelles manuscript material in the British Library, John Rylands Library, St Andrew's University Library and Cambridge University Library (indirectly), but none of these seem to have the catalogue.] I suspect there may be some way into this via book collectors and book sellers of the nineteenth century, but I wonder if any one out there has any suggestions. Another complication is not knowing the exact title of the Catalogue. The Islamic Awareness website is a high-quality Muslim apologetics site. It seems to be run by a group of intelligent people, with boundless time and energy (they may tell me otherwise). I have been rather reluctant therefore to start any sort of debate with the bright folk there, knowing that they will have far more time to reply to anything I write than I will have to reply. For anyone who wants to look at the quantity and quality of material produced just check here. One particular article that has been drawn to my attention is the one of the reliability of the NT text. A full response would require an article of equal or perhaps greater length. Time forbids a comprehensive reply, but I wish here briefly to show some of the weaknesses and imbalances in this article by Saifullah et al. Straw MenIn the opening paragraph the authors state their purpose as being to counter four false arguments for the integrity of the NT text: the first, that the NT text is reliable because a large number of manuscripts survives; the second, that most of the NT text could be reconstructed by quotations from early church Fathers; the third, that the quantitative integrity of the NT text can accurately be described by statistics suggesting integrity of 95-99.9%; the fourth, that some manuscripts of the NT are extremely early. Of course, we should observe that even if all these arguments were to fall that would not mean that there was no ground for believing the NT to be true. After all, Aquinas, Calvi, Luther, etc., did not use any of these relatively modern arguments. To my knowledge the second argument is not one that is commonly used, and the fourth (claims by C.P. Thiede and J. O’Callaghan that there are first-century NT manuscripts) is not one that is advanced by most Christians with knowledge in the area. The four counter-arguments are presented by Saifullah et al. as if they were replies to mainstream Christian scholars, and yet how many authors can they quote who would use all four arguments that they attribute to Christians? On the first argument, that the mere number of NT manuscripts suggests that the NT text has been well transmitted, the authors present us with a rather crude version of an argument that appears in some Christian apologetic literature. As they note, the argument goes back at least to F.F. Bruce, but it can hardly be suggested that Bruce thought that mere number was sufficient to indicate reliability. The third argument, of statistics for textual integrity, is one that is used by Christians, and the authors rightly point out some of its weaknesses, though, as we will see, they suggest replacing it with a far more misleading set of statistics. The percentage agreement of the verses when all the four Gospels are considered is 54.5%. This is very close to the probability that a tail (or head) appears when a coin is tossed once (i.e., the probability that a tail or head appears when a coin is tossed is 50%!). It is still a mystery to us from where exactly the evangelicals pick-up [sic] such fantastic ‘agreements’ between the Greek manuscripts of the New Testament. However, they have purposely chosen the Gospels rather than Epistles and the unit of the verse rather than a more meaningful smaller unit in order to achieve their low statistic. If two adjacent verses contain fifty words and one of them has two words in a varying order then according to Saifullah et al. we have 50% uncertainty of the text, when in fact only 4% of the text is affected! Now I’m willing to admit that there are problems with the statistics of Christian apologists, but it seems to me that they are not wider from the mark than the statistics of this article. Moreover, we must remember here that not every variant makes the text uncertain; not every variant has a reasonable claim to be original. Here they are comparing seven different editions of the NT. Yet sometimes these editions have decided to print texts with minimal or no Greek support. 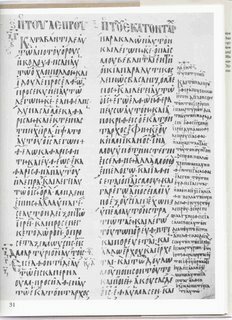 For instance, in Matthew 1:16 von Soden printed a Greek text without the support of any Greek manuscripts. Thus their statistics for variation include variants that were in von Soden’s mind as well as real variants in Greek manuscripts. The variant in Matthew 1:16 arose because von Soden, despite linguistic evidence, began with naturalistic assumptions that sought to explain Jesus’ birth without recourse to a miracle and accordingly chose to print what he thought must be the original reading. Ironically, in the article by Saifullah et al. they typically build on naturalistic assumptions within textual criticism. Likewise the belief that there are ‘primitive errors’ within the NT text (i.e. errors that precede all our manuscripts) is a supposition that is open to challenge rather than a bare fact. A key thing to realize when making any useful statistics on this issue is that in general the more manuscripts you have the more known variations there will be in the entire collection of manuscripts. Therefore, Saifullah et al. are in the position that the more evidence the Christian finds, the more evidence for NT unreliability Saifullah et al. will believe that they have. If Christians had twice the number of manuscripts they presently have almost certainly there would be more variants than are presently known. Thus, almost in principle, Saifullah et al. are committed to the view that the more evidence there is, the less certain something is. This has the air of making a vice out of a virtue. This is where their argument unravels. Although simple numerical comparison between NT texts and Classical texts cannot assure us of the reliability of the former, NT texts are not only more numerous than Classical texts, they are also generally earlier, more widely cited, and more widely translated. Obviously this produces a wealth of material attesting the NT, but with that wealth comes evidence of variety. Those sceptical of Christianity, whether Muslims, secularists or any other group, can of course latch onto the variety and then make the lazy assumption that it is not possible to apply critical assessment to the variety nor to argue that much of the variation has no claim to be original. However, it is not only lazy, but it is also ignorant to conclude that every variant in a Greek manuscript has a claim to be original. When one gets familiar with a Greek manuscript one will often find that it makes a recurrent type of error. Once you factor out the errors that are peculiar to that manuscript these variations no longer play a role in identifying the text of the NT. Unfortunately, within the discipline of NT textual criticism it has been common to present textual witnesses, such as manuscripts or translations, prior to undertaking an analysis of what factors within that witness are almost certainly secondary. This is something that I have had reason to criticize in relation to early translations on a number of occasions. Essentially, these critical editions of the Greek NT serve up for us information in an undigested form. They often assume that variation in a translation means that there was variation in the Greek original from which that translation was made. They likewise do not adequately consider the mistakes of individual scribes within the manuscripts. As a consequence many modern editions serve us up with an apparatus full of variations that, to the unsuspecting eye, probably look like evidence that there is a high degree of uncertainty about the biblical text. To the extent that Saifullah and others are building on a false assumption that all variants bring the original into question, their work is inadequate. The Age of ManuscriptsIt takes some skill to present an argument that makes the fact that the NT exists in earlier manuscripts than the overwhelming majority of Classical texts into a weakness for the NT, but this is what happens in Table VI. A clear strong point of NT transmission (relative to all texts of its age) is argued to be a weakness. The statement following Table VI that 1 and 2 Timothy and 3 John only have ‘very late manuscripts’ is rather misleading. Here comparison with Classical works is relevant. Scholars have a great deal of confidence in the integrity of the text of Classical works though the manuscripts are generally much later than those of NT works. If 1 and 2 Timothy and 3 John are only in ‘very late manuscripts’ then most Classical works are only in ‘very, very late manuscripts’. The argument presented by Saifullah et al. is that the witnesses are late, and yet their argument is also subject to attrition. One century or two centuries ago the earliest manuscripts were considerably later than the ones we now have. It would be better to say that the manuscripts are early, and are getting earlier all the time. Moreover, their table ignores the fact that sometimes manuscripts in languages other than Greek exist prior to Greek manuscripts. 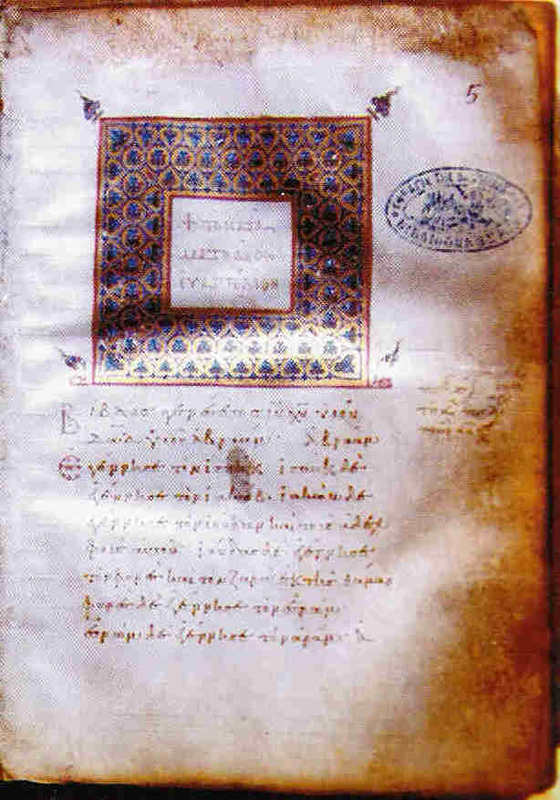 For instance, there is a Coptic manuscript in London, namely Crosby-Schøyen Codex Ms 193, which contains all of 1 Peter, which has been dated to the late second century or early third century by Roberts (whose datings the authors accept elsewhere in this article), though other scholars put this manuscript later in the third century (J. Goehring, The Crosby-Schøyen Codex Ms 193 [CSCO 521, Louvain, 1990]). Thus their entry for 1 Peter might be amended to show this earlier witness. Now the point is this: most scholars would accept that if 1 Peter was being translated into Coptic by this stage then so were the Gospels. Christian literature was very widespread early on and spread across language boundaries. It would not be possible for some conspiracy to exist to change all the Bible manuscripts at any one stage because they were too widespread. What is not observed by Saifullah and friends, and which would need to be worked out at greater length, is that the amount of variation amongst extant NT texts is probably too little for it to be plausible that there was widespread change of these texts early on. The article rather lacks precision when dealing with the issue of certainty. The article seems to confuse lack of certainty amongst a range of scholars with lack of certainty of the issue. I doubt whether the authors would accept an argument of the structure: a range of scholars are uncertain about the status of Islam, therefore the status of Islam is uncertain. Yet their argument is very much of the structure that if a range of scholars are uncertain about the NT text therefore the NT text is itself uncertain. The article does not consider that ‘lack of certainty’ is a feature of many areas of scholarship. You could take many an issue from global warming to economic theory and find a range of opinions and therefore declare the issue uncertain. This, however, would not mean that another scholar could not rationally reach a much higher degree of certainty about the text than was available within the academy as a whole. They do not show that an individual scholar could not rationally be 99% or more sure of what the original text was. Muslims and Christians live in an academic environment where the overwhelming number of scholars in the world’s most distinguished universities do not believe that God has given a record of his words to humans. This is an environment in which a believer in God, whether Christian or Muslim, should begin with an approach which does not uncritically accept that trends in academic scholarship necessarily represent the truth. There must be a rigorous attention to evidence and argument. The article in question could, I think, do more to distinguish between bare fact and the consensus opinion of scholars working in a largely secular academic environment. In my publications cited, as well as in others found on my webpage, I have sought to document large numbers of textual variants within the Bible which are only believed to have existed due to uncritical presuppositions which have flourished in a more secular age. They do not really exist. These pseudo-variants are open to critique on scholarly and linguistic grounds, though I have found that a sceptical attitude towards secular attitudes to scripture has also been helpful in exposing some of these errors. I suspect, though I cannot prove, that if more scholars were to have a similar scepticism and apply it in their area of study that the text of the NT would appear in an ever better light. There is obviously plenty to discuss with the Islamic Awareness folk and if the rumour is true that some of them are in Cambridge, England, then perhaps I will get a chance to meet them and chat as I'm usually down there a couple of times a year. I would not even deign to think that these few ramblings are a match in quality for their far more thoroughly researched article. Clearly the authors are trying to persuade us that this is how many Christians argue. The first argument is said to be used ‘invariably’. The second argument is introduced as ‘The Christian apologists’ second line of defence…’ Assuming the apostrophe to be correctly placed, the authors are asserting that this is generally the line that is taken by Christian apologists. I refute von Soden’s reconstruction of Matthew 1:16 in P.J. 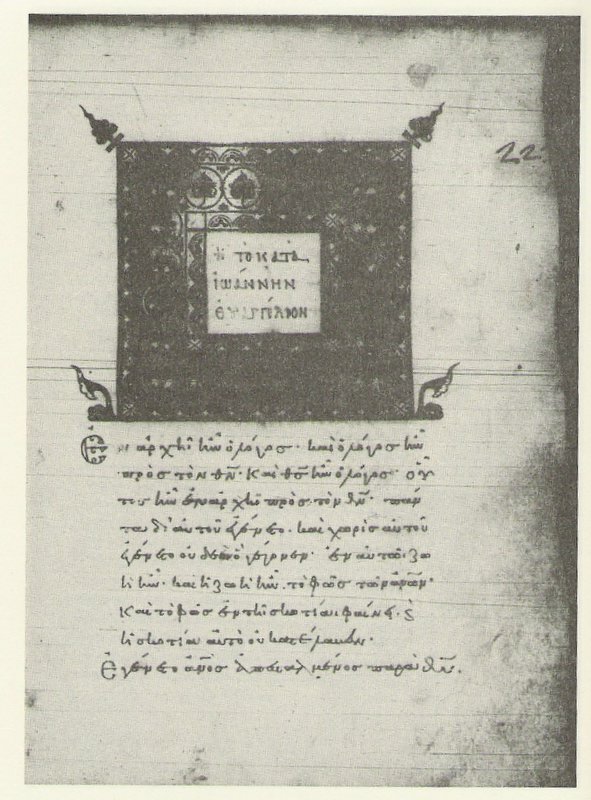 Williams, Early Syriac Translation Technique and the Textual Criticism of the Greek Gospels (Texts and Studies 3:2; Piscataway: Gorgias Press, 2004) pp. 240-44. For my criticism of this procedure in the textual apparatus see, P.J. Williams, ‘On the Representation of Sahidic within the Apparatus of the Nestle-Aland Novum Testamentum Graece’, Journal of Coptic Studies 8 (2006) 123-25; ‘Bread and the Peshitta in Matthew 16:11-12 and 12:4’, Novum Testamentum 48 (2001) 331-33; ‘Some Problems in Determining the Vorlage of Early Syriac Versions of the NT’, New Testament Studies 47 (2001) 537-43; ‘“According to all” in MT and the Peshitta’, Zeitschrift für Althebraistik 12 (1999) 107-109. I understand that my conclusions will be taken into consideration in future versions of the Nestle-Aland edition. One of the subjects that is all the rage now in NT studies is rhetorical criticism. It is frequently proposed that some rather elaborate rhetorical structures can be found in Paul's letters or in other epistles in the NT. I have been wondering how much research has been carried out on the relationship between this and textual criticism. Often the proposals for rhetorical units do not correspond to units indicated in the earliest manuscripts. Now that could be because the early scribes simply failed to recognise the units, but is there a case for saying that the widespread failure of early scribes to recognise rhetorical structures which are claimed to be widespread in the first century actually undermines the view that the structures themselves were so widespread? What bibliography could one recommend? Finally, some Textual-Critical evidence for gender neutral language. Andrew Wilson pointed me to the fact that a large number of books from Bruce Metzger's library, including some outstanding historical editions of the Greek New Testament including a 1550 Stephanus; Wettstein 1751&2; Mill 1723 [I presume this may be an edition of Kuester's revision of Mill, it is not specified]; as well as Tregelles 1861 [a bit steep at $550 methinks, considering it lacks volume one!!! ]; von Soden 1902 [the most tempting, and a significant lack in my library, but I'm not convinced that I have $500 to spare at the moment]. There are plenty of others to choose from as well, although not too many outstanding bargains. Have a look around if you are interested (I'm not getting any commission): here. The Fifth Congress of the International Organization for Targumic Studies (IOTS) is scheduled for Thursday and Friday, 12-13 July 2007, in Ljubljana, Slovenia. It will be held in conjunction with the XIXth Congress of the International Organization for the Study of the Old Testament (IOSOT) in Leiden during 15-20th July 2007. As with past meetings, registration and accommodations will be arranged through the IOSOT, whose website is located at: http://www.iosot2007.si/ . 1. Language, Dating and Inter-relationships among the targumim; translational theory and the targumim. 2. Exegesis; Relationships with other rabbinic and contemporary literature (halakhic, aggadic, patristic, historical etc.). 3. Theology, Eschatology and Sitz im Leben of the targums. 4. Text-criticism, manuscript history, and stemmatology. Stephen Carlson lists here the most important mss put on display by the Smithsonian. Worth going to SBL for. 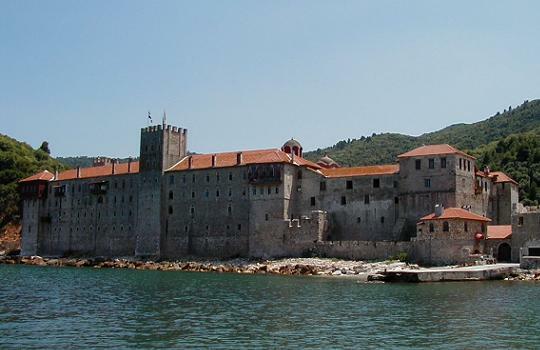 Armed police are now set to raid the Esphigmenou Monastery on Athos. It appears that, contrary to my previous announcement, some of the sentences handed out to the monks were custodial. See here. For some of the background to this and details of the manuscripts in the monastery see the previous post and comments attached to it. Patriarch Bartholomew arrives on Athos today. The distinguished Old Testament scholar James Barr has died. Mark Goodacre's notice here. Times obituary here. His writings ranged across a number of areas, and touched often on matters text-critical. He also supervised and examined important works within textual criticism. His Comparative Philology and the Text of the Old Testament (first published 1968) is his most obvious contribution to textual criticism. However, his Typology of Literalism (1979) is a very important study of the development and categorisation of so-called 'literal' translation. I enjoyed reading his Semantics of Biblical Language, Fundamentalism, Variable Spellings of the Hebrew Bible and His History and Ideology in the Old Testament. His Escaping from Fundamentalism book was, as he said in the preface, not aimed at my type, and consequently less enjoyable or edifying. Thus though I only met Barr once (and was surprised to find that already back in 1998 he had read something I had written), his writings had a deep effect on me and on my outlook on evangelical scholarship, though perhaps not the effect that Barr himself would have wanted. His Variable Spellings further inspired my interest in spelling in scripture and its importance, but the book that I found the most helpful was Fundamentalism. Now Barr did have a tendency to apply the term 'Fundamentalist' to anyone who had a view of scripture remotely approaching historic views of verbal inspiration found across Christendom and then to wonder why people objected to this use of the term. But that matter aside, his book Fundamentalism is important for its critique of how those who hold to the verbal inspiration or infallibility of scripture and then try to defend this view so often insist on 'changing the text'. He shows cogently how those who keep the text are showing more respect for the scriptures than those who in the name of respect for the scriptures change it. It is a lesson well worth heeding and I must say that they were in my thoughts as I wrote a piece on 'inerrancy' for this blog. I am thus grateful to God that he used the writings of James Barr to increase my respect for his word. I hope that his life directly or indirectly will have the same effect on many others. "I have created 3 free Sahidic Modules for e-Sword, the popular freeware Bible program. They are based on the Sahidica Text and Lexicon.You can download them here: e-Sword Original Languages Library"
I was thinking about another quiz involving bits of minuscule manuscripts; but decided that a minuscule quiz might need more than isolated snippets in order to identify the manuscript, and make observations about the hand, the layout and the text, etc. Then I thought that the label "quiz" might not be the best label, since there are still plenty of things for us all to learn. So let's see if we have any interest in discussing a series of NT minuscule manuscripts. What can you tell us about this text and this manuscript? Why is this a good place to begin? I have just received an advert about the Ma'agarim database available free here. It is a bit like an equivalent of the Thesaurus Linguae Graecae but for post-biblical Hebrew to the 11th century. The user interface is all in Hebrew, but it will not take too long to learn how to use it. It claims to be based on a 9 million word corpus, including the Dead Sea Scrolls, inscriptions, and masorah. It sounds like the free demo version may not be eternally available, so get searching. There are thousands of manuscripts of the Hebrew OT. 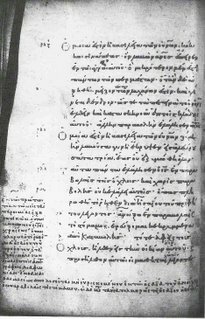 We have reasonably precise numbers for the manuscripts of the Greek NT, but does anyone know about manuscripts of the Hebrew OT? Does anyone even care? There are a few reasons why so little has been done with the vast number of medieval Hebrew manuscripts. The OT is longer than the NT and 'collation' for a Masoretic manuscript involves not only collating letters, but also vowels, accents and of course the masoroth. A further reason why no one seems bothered about collating the medieval mss is that people are convinced that they will not find much. That's why if we want information about variations in medieval manuscripts we have to go to Kennicott and De Rossi at the end of the eighteenth century. But how about the strophe beginning with nun in the alphabetical Psalm 145 (Hebrew numbering just after v. 13)? Does an agreement here between a Hebrew ms and the Greek Psalter not suggest that the Hebrew ms in question deserves more investigation? Given the mass of Hebrew material I think that the only way to begin to make sense of it is to start devising a set of Teststellen—places where we dip in to the manuscript tradition to try to get a sense of what is worth further exploration. Uniquely among the many Coptic texts in the Nag Hammadi find, there are portions of three Greek manuscripts extant of the Gospel of Thomas, which are palaeographically dated to the third century CE. Though only fragments survive, in this session we will see how a careful analysis yields considerable data, from which we can make inferences about how these manuscripts were intended to be used and how the text of Gospel of Thomas was handled in this early period. This illustrated session is intended also to demonstrate how one makes a detailed analysis of ancient papyri containing literary texts. The six biblical manuscripts that reside in the Freer Gallery of Art in Washington, D.C., are historically significant artifacts for tracing the early history of the transmission of the writings that make up the New Testament and the Septuagint. The manuscripts, all purchased in Egypt at the beginning of the twentieth century by Charles Freer, date to the third through fifth centuries and include codices of the four Gospels, Deuteronomy and Joshua, the Psalms, and the Pauline Epistles, as well as a Coptic codex of the Psalms and a papyrus codex of the Minor Prophets, which, until the discovery of the Dead Sea Scrolls, was the earliest Greek manuscript of the Minor Prophets known. 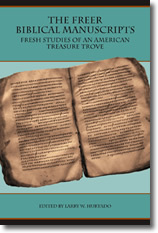 The ten essays in this volume are a notable collection of fresh scholarship with long-term value for the study of what is a small but highly valuable treasure trove of biblical manuscripts. Was Codex Washingtonianus a Copy or a New Text? It is now the eve of ETC's First Blogiversary. I thought it better to announce this today since Saturdays are not one of our peak times. I launched the blog with this message in a hasty moment before a dinner with Simon Gathercole on this Friday last year. Since then it has been a pleasure to welcome a growing team of bloggers and to receive such a wide range of input from comments, submitted posts and commissioned posts. I have been really grateful for the encouragement received, even from those who think that some of the blog's theological aims are misguided! 1) Messages and discussions that people have found most useful. 2) Honest assessments as to what might have been achieved so far. 3) What role the blog might play in contributing to textual criticism and the church in the future. The Singular Readings of Sinaiticus, Alexandrinus, and Ephraemi (Wissenschaftliche Untersuchungen zum Neuen Testament 2.Reihe; 2006). Modelled on the respective studies of Ernest C. Colwell and James R. Royse, Juan Hernández Jr. offers a fresh and comprehensive discussion of the Apocalypse's singular readings in Sinaiticus, Alexandrinus, and Ephraemi. Moreover, the singular readings of the Apocalypse are also assessed in light of the work's reception history in the early church. The author shows that the scribes of these three manuscripts omitted more often than they added to their texts, were prone to harmonizing, and, in the case of at least one scribe, made significant theological changes to the fourth century text of the Apocalypse. The author also attempts to integrate the findings of the most recent text-critical research of the Apocalypse with studies of its reception history in the early church. 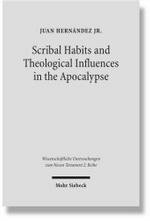 His book is the first systematic study of scribal habits on the Apocalypse that takes seriously the claim that some scribes were making changes to the text of the Apocalypse for theological reasons. If I asked who introduced the NT verse numbers, when he did so, where he was and what he was doing at the time I expect that I would get plenty of accurate information. Would I get the same if I asked when the OT verse numbers date from and who first introduced them? It has probably been out for a while, but I have only just noticed the appearance of the Festschrift for Konrad Jenner who has been leader of the Peshitta Institute in Leiden where the definitive edition of the Peshitta OT is produced. Further details are here. The title is Text, Translation, and Tradition Studies on the Peshitta and its Use in the Syriac Tradition Presented to Konrad D. Jenner on the Occasion of his Sixty-Fifth Birthday Edited by W.Th. van Peursen and R.B. ter Haar Romeny (Brill: Leiden, 2006). The series produces works at a fairly slow rate. This is vol. 14 of the series, while my vol. was number 12 and came out in 2001. I see that Brill have slapped a further 54 dollars on the price since then. Anyway, it would be good to have a table of contents of the Jenner volume because I'm sure it would contain much of interest. Today there has been a significant event in a long-running dispute on Mt Athos, home to more Greek NT manuscripts than anywhere else in the world. Some monks from the Esphigmenou Monastery (pictured) were today given suspended prison sentences for charges related to their opposition to Patriarch Bartholomew's attitude to the Pope. The Greek government supports the siege that these quiet anti-ecumenical monks are under. The Esphigmenou Monastery is home to the oldest manuscript of Epictetus' Manual and ms 983 (a twelfth century ms of the Gospels). I don't know whether they have other NT holdings. Other highlights of the SBL forum are a piece by Stephen Carlson on ms 2427 as a forgery, and one by Stefan Reif about new finds from the Cairo Genizah discovered in Switzerland. The latter article actually focuses on material already known from the Genizah and we therefore need further information before we can assess the importance of the new finds. Does anyone know how many more remnants of the Genizah might still lie undiscovered in Western Europe? Please only three point-scoring attempts per person per day (leave some for others to have a go at). Up-date: The identifications are listed in the comments. I have added links to the sources (normally fuller pictures). In the SBL Forum of October (here) it is announced that the electronic journal TC: A Journal of Biblical Textual Criticism, which was established already in 1996 (as one of the first e-journals), has now become an official online publication of the SBL. There are here a number of images of the Macclesfield Psalter, acquired by the Fitzwilliam Museum in Cambridge last year. It is C14 and made in East Anglia, the general region in which Cambridge finds itself. The illustrations on the manuscript are often quite bold, and not always greatly edifying (e.g. the picture of a man urinating). Perhaps the manuscript can at least remind us of the full variety of entities that fall under the heading of 'biblical manuscript'. Tigran Aivazian of bibles.org.uk has teamed up with J. Warren Wells of Sahidica, to produce printed editions not only of the Sahidic NT, but also of the Bohairic. Whereas I presume that the textual basis of the Sahidic text is Wells' own (basis described here) I do not yet have any details of the textual basis of the Bohairic. There are some useful statistics for the Greek NT listed here by Felix Just; including the Number of Chapters, Number of Verses in Each Chapter, Total Number of Verses, and Total Number of Words in each book of the Greek New Testament. But what I would like to know is the number of letters in each book of the Greek New Testament (any critical edition accepted; or even TR for comparison). Any offers? Looks like a trip to the library to get all the figures; unless someone has Zahn on their shelves.